Description: A free customizable marketing strategy concept map template is provided to download and print. 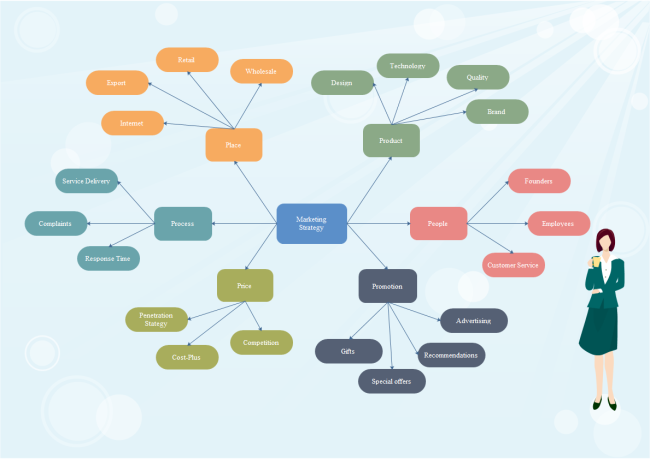 Quickly get a head-start when creating your own marketing strategy concept map. To seize the major elements of marketing strategy quickly, a visualized way is better, as seen in the template. Share, discover and update Concept Map templates on professional content sharing community. With Edraw Max, you can edit the free concept map template for personal and commercial use.